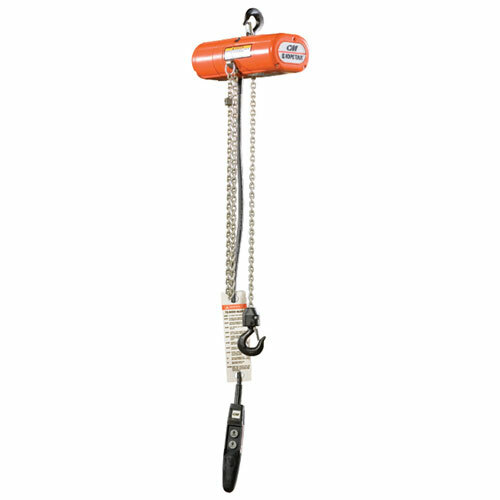 The CM ShopStar electric chain hoist is built for rugged industrial and commercial use. This durable hoist features high H4 duty cycles and a compact design ideal for use at workstations and production lines. Standard overload device protects the hoist, operator and surrounding structure from damaging overloads. Equipped with a NEMA 4 industrial rated control station and the industry's best lifetime warranty. * Due to an increase in damaged freight and claims, CM electric chain hoists now ship only by freight truck.